Seeing Red follows Lina as she waits to see if she will ever see again. Looking through her fingers, her writing so reliant upon those fingers to shape it, Lina complains that she can’t write if she can’t see. And as the days and weeks go on who can she rely on? Her relationship with her parents is complicated by the history of her illness and the guilt and resentment it generates. Her relationship with her boyfriend is now equally fraught. Whose eyes can she now see through? Who will give her their eyes? I loved the writing of this novel. The way sentences sometimes meandered or came to abrupt halts to mimic the sound of the heard unspoken or the faltering breaks induced by a constantly diverting consciousness, a shifting body. 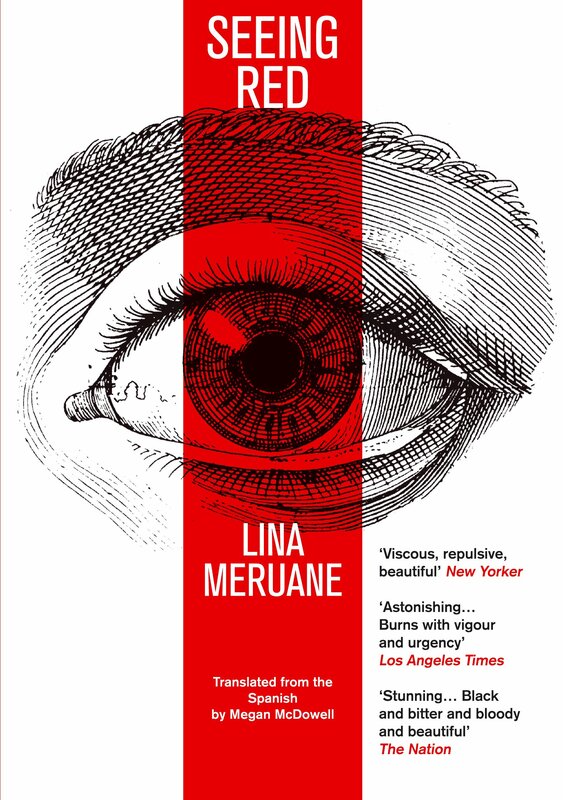 For that we have to thank both Lina Meruane and her translator Megan McDowell. The language is just so delightfully precise, loaded with the weight of suggestion built not only from the experience of literature but also from life. The way words take on special meanings within particular relationships. The actions of Lina in the novel are also heavy with suggestion as she longs to touch and lick the eyes of those close to her. Unsurprisingly interpretation becomes a central theme. Her boyfriend, Ignacio, speaks a slightly different Spanish. They live in New York where they must speak English. When driving around Chile, Lina must direct Ignacio by interpreting sound and memory. Lina must also interact with others without the additional clues of facial expression and body language. Lina needs to interpret the characters’ interactions with her as they negotiate their personal, familial and professional roles. Her eye doctor is Russian, can’t remember her name, and must interpret the workings of her retinas. The whole world needs reinterpreting. Haunting and angry, Seeing Red is a beautiful, desperate and sensually alive novel. If words are to evoke our experiences, both thought and sensory, they must be precise. Carefully chosen, words allow us to see with fresh eyes. Next week I’m reading Attrib. and other stories by Eley Williams.